On February 21, 2014 academics Crowe and Spring from Florida State University and the University of Florida made the shocking announcement that the French colony of Fort Caroline was located on the Altamaha River near Darien, Georgia not the St. John’s River in Jacksonville, Florida as has been believed for the past 150 years. Now new evidence published yesterday reveals that not only was French Fort Caroline in southeastern Georgia but also the original Spanish Fort St. Augustine was in Georgia as well. 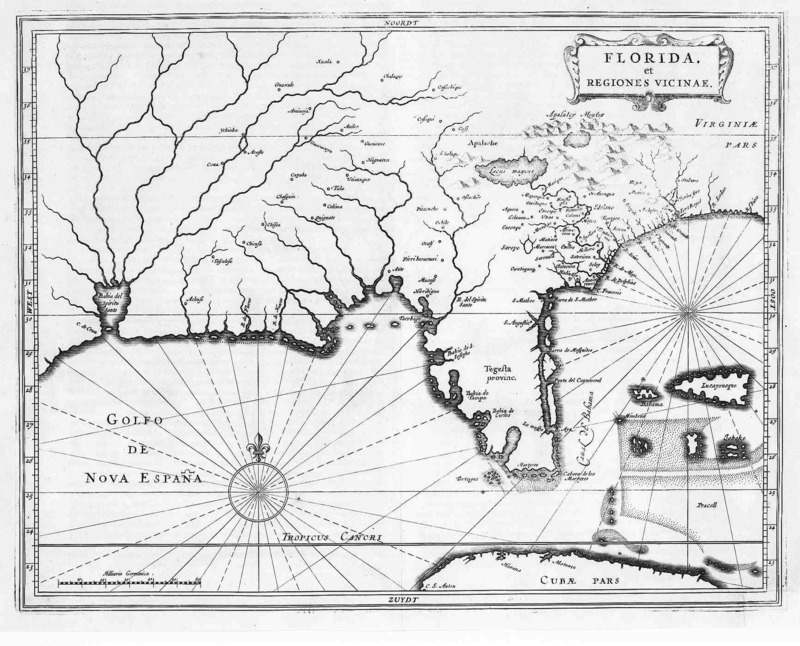 Crowe and Spring’s announcement sent shockwaves through the academic community with some insisting that it was impossible for Fort Caroline to be on the Altamaha River since the distance between Darien, Georgia and modern-day St. Augustine, Florida was much too great to cover in two days of marching– the amount of time Spanish General Pedro Menendez claimed it took him to reach the French fort. Crowe and Spring countered by asserting that the Spanish actually started their march from a temporary encampment on the St. Mary’s River not from St. Augustine thus could have covered the distance in that short amount of time. Yet another researcher claimed that even this shorter distance between the St. Marys and the Altamaha was still too far to cover in the two-day time limit and that the available evidence suggested the Spanish encampment was on the Satilla River not the St. Marys River. He based his argument on the fact that the French claimed the Spanish took over an Indian village called Seloy located on the River of Dolphins and built a fortified encampment there. A 1625 map located the River of Dolphins where today’s Satilla River is located suggesting that they were one-and-the-same rivers. The French accounts also noted this Spanish encampment was just five or six leagues south of Fort Caroline which places it nearer the Satilla River than the St. Mary’s River. ‘Lampedocia, Little Satilla Neck, (Ga.) October 1, 1817. ‘In submitting for publication the underwritten true description of an ancient Indian fortification, I am warranted in the opinion of asserting, that it will be read with pleasure by many patrons of your widely circulated paper. ‘On the river Dover, a branch of the Great Satilla in this county, (Camden,) there is a remarkable fine bluff on the right bank, on which is situated a very ancient Indian fortification—I have viewed it particularly myself, as well as many of the most respectable gentlemen on this neck and vicinity, all of whom agree that it is one of the most ancient fortifications that was ever discovered in the United States. It has undoubtedly stood for centuries, from the decayed situation which it is now in—but, from the regularity and strength of the works, it is obvious that there must have been by far a more ingenious race of Aborigines than the present tribes, or those that were found at the first settlement of this country. 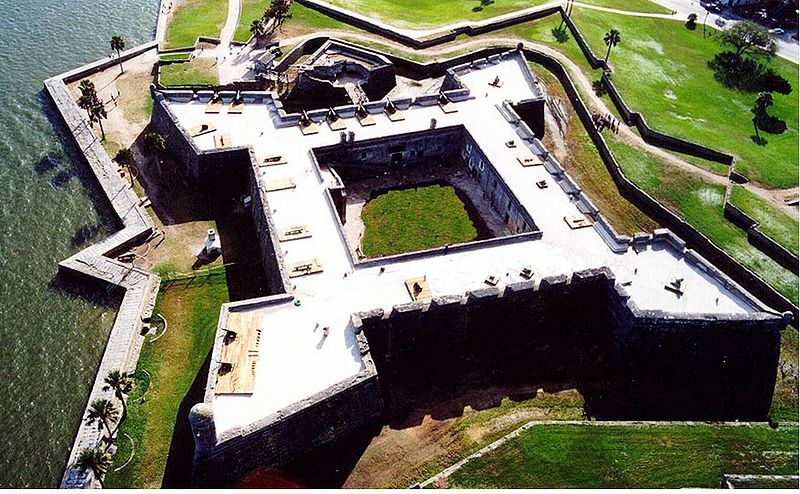 The description of the fort is very similar to the Spanish fort Castillo de San Marcos that was constructed in St. Augustine in the 1600s and still stands there today. The major difference is the Castillo is made from coquina stone and includes bastions while this more ancient fort seems to have been built of tabby construction and lacked bastions. Only future archaeological investigations will reveal if the remains of this fort still exist and if they are, in fact, the first Spanish fort in America. If so, the story of the first permanent European presence in America starts in Georgia not Florida.